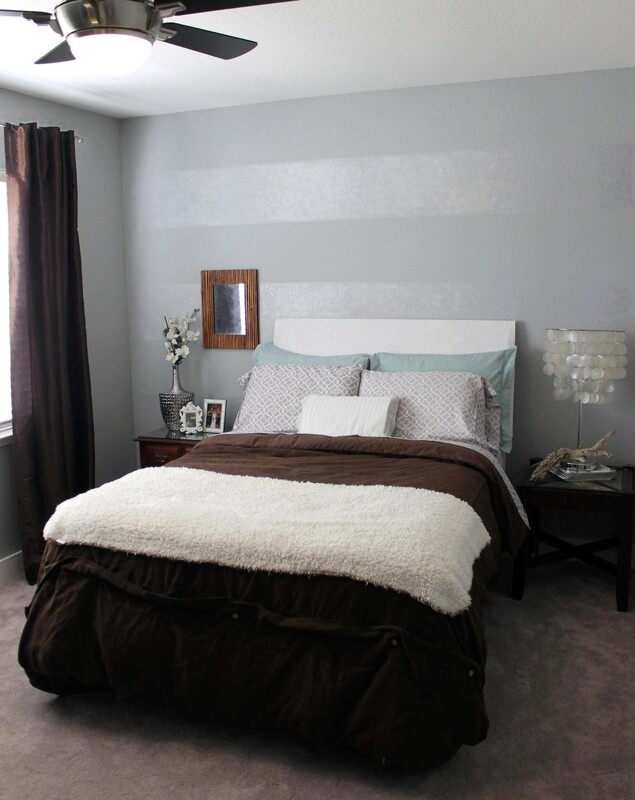 Tone on Tone Striped Accent Wall | mrs. and the misc. ← Checking #1 off the TO-DO! 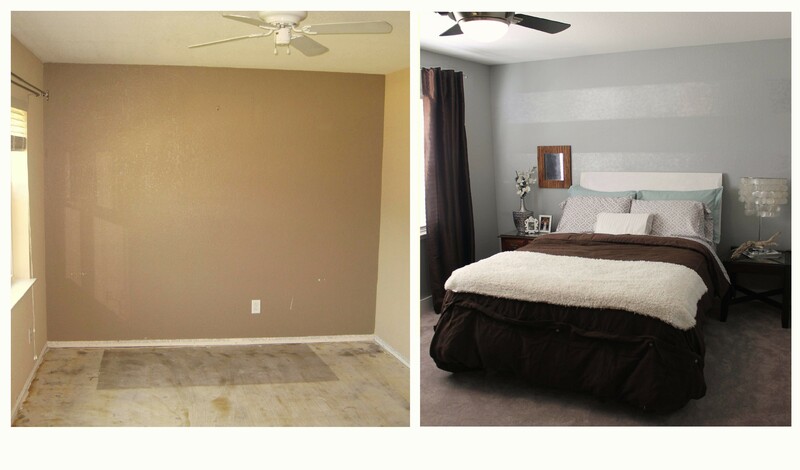 For one of my guest bedrooms, I wanted to do an accent wall, but the room is not huge so I didn’t want anything overpowering. (The room was a goldenrod yellow which had to go.) I considered wallpaper because I like the subtle mix of sheens, but I have textured walls so I decided to do a simple stripe pattern by using one color in high gloss and flat paints. 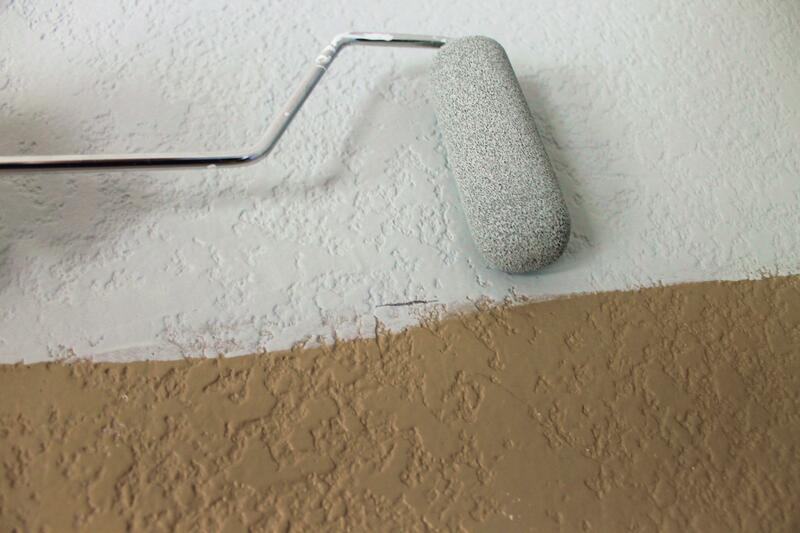 At first I was hesitant to put the high gloss on the wall because I have heard that you can not paint over gloss with a lower sheen, however that is not true. Just rough up the high gloss a bit by going over it with a sheet of sandpaper and you can paint whatever you want with no trouble. 1. 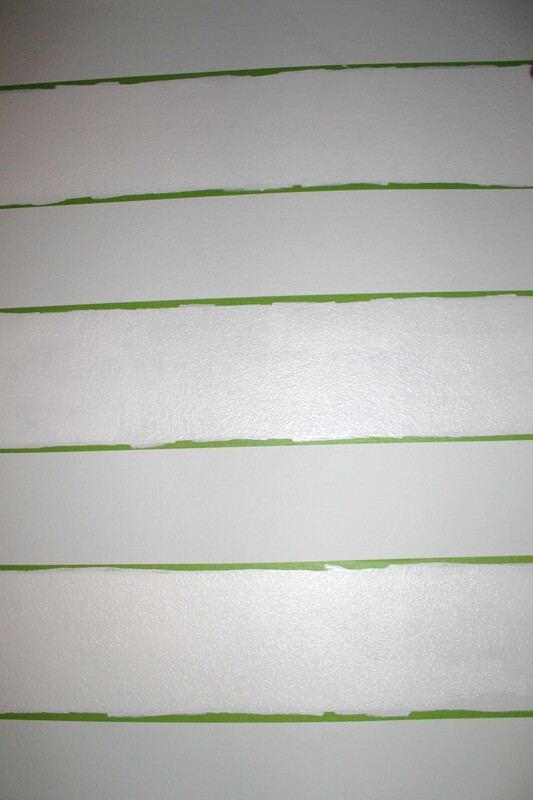 You can go ahead and paint the whole wall with your flat color, but I only bought a quart so I measured out 13 inch stripes. 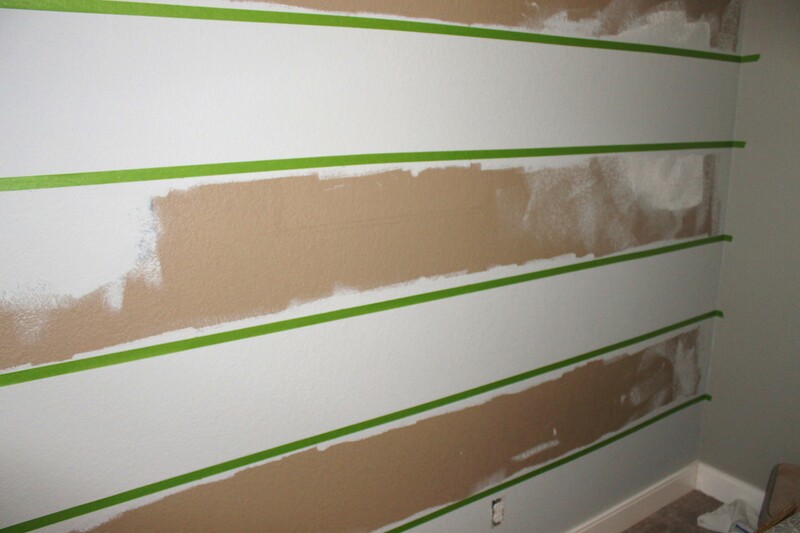 Be sure to paint past the lines so that you won’t have gaps when you do your next stripe. You don’t have to be neat. 2. Tape off your stripes. 3. Fill in the stripes with high gloss paint. 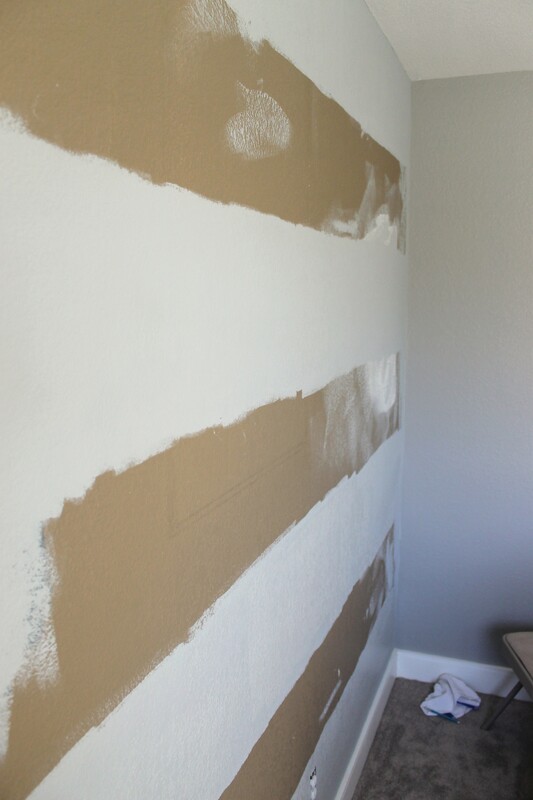 Peel off tape when you are through and you have an easy but eye-catching accent wall. So much better! Love the new colours in a bedroom; they are calm and relaxing! The after picture is beautiful! love that side lamp too! That is a great idea, the room looks fantastic. I like how you made that wall! This is a good reference. I’ve always loved ideas involving the same color but with texture or shine! I think my idea for an argyle-style wall is gonna incorporate this! Then I won’t have to use so many colors.